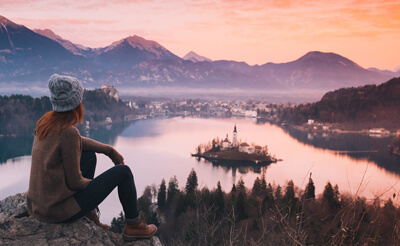 In determining whether or not to take your studies abroad, have you taken the time to consider how studying abroad can help you professionally? As future career opportunities can be enhanced as a result of international study, we've outlined a few ways that studying abroad will make you a savvier professional, using examples of real-world experiences from international students. A successful career means growth, and growth requires spending time outside of your comfort zone. Even when you reach your ideal position, continuous advances in technology and globalization means no job will let you get too comfortable for long. Nothing will be more of a shock to your system than uprooting yourself from your friends and family, and throwing yourself into a new geography, culture and, possibly, language. You'll learn to appreciate the small successes and not to sweat a dynamic environment. You'll even learn to thrive in it! When you study abroad, you will learn to let go of the expectation that things will be as familiar and easy as they were before. That idea will liberate you to achieve outside your comfort zone without the sentimentality, hopelessness, and self-pity that some professionals feel when they have to learn new systems, technologies, skills and markets. Not everyone is comfortable working in an international environment or with people who have different beliefs and priorities in life. Before you study abroad, you might consider yourself open-minded. But pushing yourself to study abroad will put this self-perception to the test. You'll move to a country where you'll become the odd-one-out for your cultural practices. With any luck, you'll make friends and acquaintances who will be as curious as you are about your differences and make the effort to overcome them. By the time your studies are finished, you'll have more awareness and appreciation about diversity which will be a tremendous asset in your career, as well as your life in general. Making professional relationships will be easier and you will be more attuned to strengths you might have just seen as differences before your time abroad. Even if you study abroad in a country that speaks a language you are fluent in, you are guaranteed to use different expressions and pronounce words differently. Studying abroad will teach you how to read your audience, searching their face for cues that you've said something incomprehensible, and quickly clarifying your meaning. When you move away from your home country, you leave a lot of support systems that you perhaps weren't even aware you had and you'll be forced to solve problems by yourself. Whether it's figuring out how to sign up for classes when your new university's registration system crashes, making your budget stretch in a city that's far more expensive than your own, or negotiating with a landlord for the first time, you'll be depending on yourself to solve challenges from time to time. This brand of maturity you get from studying abroad will transfer to your first professional job as you take initiative to independently accomplish tasks and give your manager confidence in your abilities, thus demonstrating another career-boosting benefit of studying abroad. 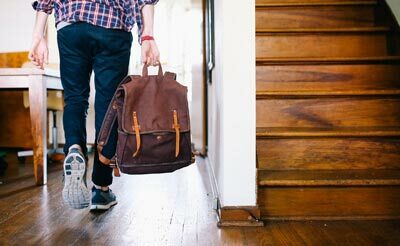 Now that you've seen the benefits that a year (or more) abroad can offer you professionally, it's time to begin the journey. Take a look at our catalogue of study abroad programs from all around the world. To learn more, check out the Articles & Advice section or start a conversation in our forum.